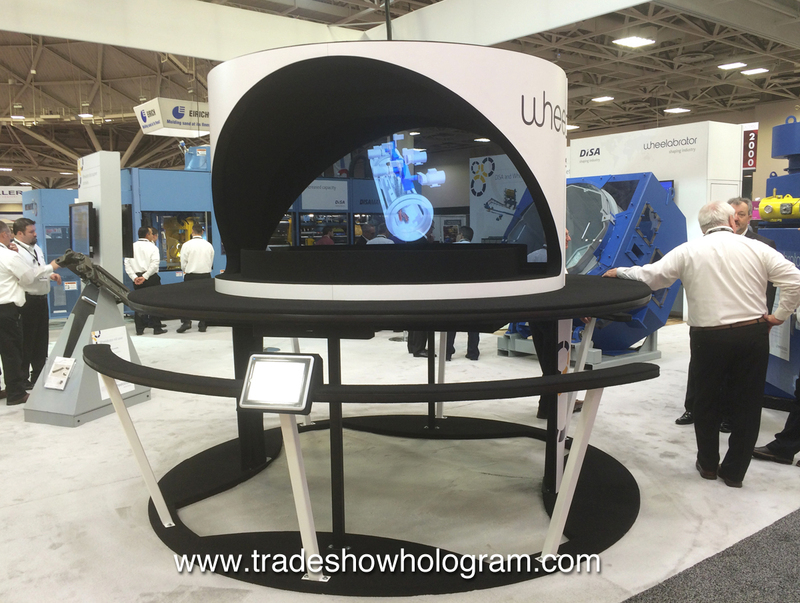 Trade Show Holograms debuted their latest 3d hologram projector exhibit at CastExpo 2016 in Minneapolis MN. This new design includes the newly enhanced Ultra Bright Projection system as well as an interactive touch pad that allows a viewer on demand access to available holographic presentations. 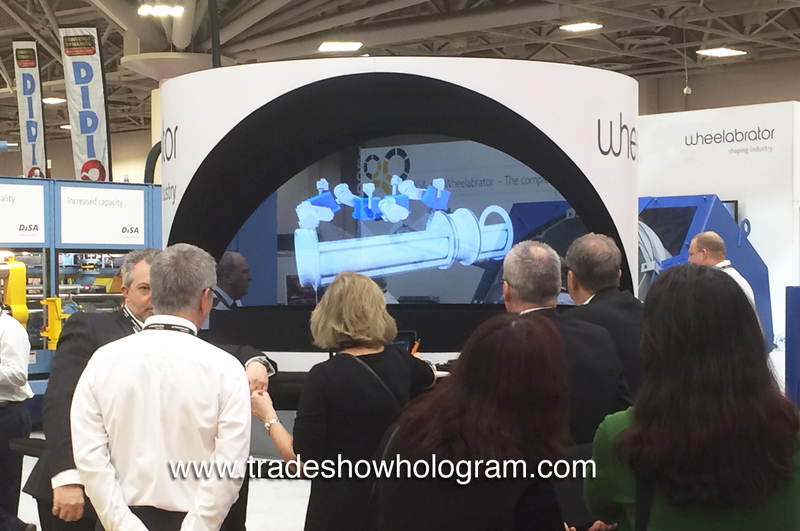 Trade Show Holograms has been creating new holographic displays systems since 2006 when they introduced their product to the trade show industry for both rental and sale across the USA and Canada. Dual Sided Hologram Projector with Ultra Bright projection system. Ultra Bright 3D Hologram Projector exhibited at a recent trade show.